Deionization is the process of removing mineral inorganic ions (cations and anions) from water and exchanging them with hydrogen (H+) and hydroxide (OH-) to produce high purity water that is similar to distilled water. Deionized water quality is used in applications such as boilers, electronics manufacturing, power industry, petrochemicals and pharmaceuticals. Corodex deionizers are factory designed and built with PLC based control systems. Material of construction of the exchange vessels can either be rubber lined or special epoxy coated steel, or polyethylene lined fiberglass. 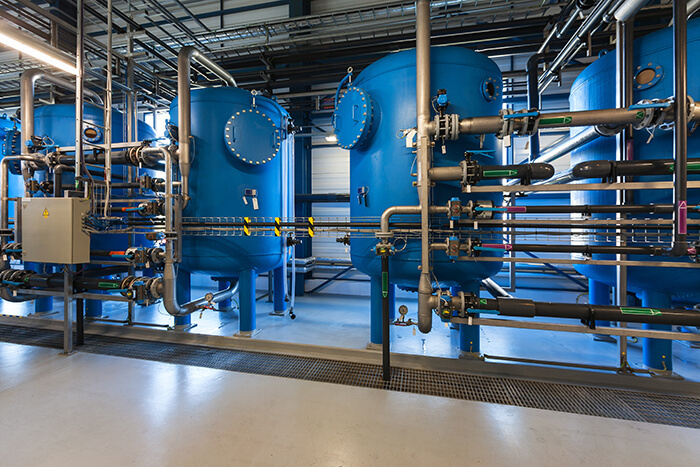 Corodex uses exchange resins only from reputed manufacturers to ensure consistent high quality and ultra-pure water.